Local church ministry requires a lot of hands, and serving is a vital part of the life of a fully trained disciple. Trying to decide where to serve can be tough, but there are a few key questions that can help you decide where to plug in as a part of the body of Christ. 1. Why do I want to serve? It may sound silly to start with such a simple question, but it is crucial to understand why you are taking the step to look for somewhere to serve. It is a foundational question and needs to be answered if you are going to find the right place to serve and, more importantly, serve with the right heart. Most Christ followers would say that our motivation (our “why”) is Jesus’ example. Over and over again Jesus showed His disciples the importance of servanthood and told them plainly that he came to serve, not to be served (Mark 10:45). In Luke 22:27 Jesus says, “I am among you as the one who serves.” The kingdom he established is led by servants, and he has invited us to participate. As you answer this question, remember this—your why may provide details that help lead you to the right what. For example, I was greatly impacted by a volunteer in my youth ministry when I was a student. His ministry impacted me in two major ways. First, he valued me during a time that I was struggling to believe I was valuable. Second, I knew that he was called and equipped to do student ministry, but he had a corporate job and felt stuck because of the pressure to provide for his family. This relationship led to two very distinct answers to the question of “why do I want to serve.” I wanted to serve so that I could make young people who are struggling understand their identity and value in light of the Gospel, AND I wanted to help people discover their callings and find the strength to walk in them. Because of this, I have devoted almost 20 years to student ministry, and I am currently employed with a non-profit that helps young adults discover their callings. 2. Where are the biggest needs? When we choose to serve, we are making a choice to become “other focused” instead of being focused on ourselves. Asking this question is the first step in that process. God cares deeply about the Church and calls us to be His hands and feet as we serve (inside and outside of the body of Christ). This is one of the questions that a lot of people don’t like to ask themselves because sometimes it goes against their personal desires. Here is one common scenario: If a singer asks themselves this question, they may find out that there are already six vocalists but no one to run sound. For a season, they may be a greater blessing to their local church as a sound person than a vocalist. So where is the biggest need? Where will you be the greatest blessing as you serve? 3. What are some of my natural abilities and interests? God created us all with unique abilities, and when we become believers, we are given spiritual gifts as well. Discovering what those abilities are is a necessary step in discovering where to serve as a part of the local church. We also each have unique interests—Activities that resonate with who we are. The problem is, not many people know what their natural abilities and interests are. Do you? Do you know what you are genetically encoded to do well? Or what types of activities you enjoy the most? 4. What am I passionate about? Serving in an area that you care about allows you to prioritize ministry and battle excuses that you might have for not fully committing. Passion fuels us as we continue to pour out in our area of ministry. If someone or something has captured your heart, God can use you as you selflessly and joyfully give. What are you passionate about? Who/what do you love? Worship? Students? Biblical truth? Babies? Children with special needs? 5. Where will I become who God wants me to be? Through the years, I have learned that God is more concerned about who we are becoming than what we are doing. As you search for a place to serve, ask God to show you where you can grow the most. It may not be easy, but sometimes the hardest things are the most transformative. Serving others is challenging, but the more we serve the more we become like Jesus. Where can you serve and grow the most as a disciple? 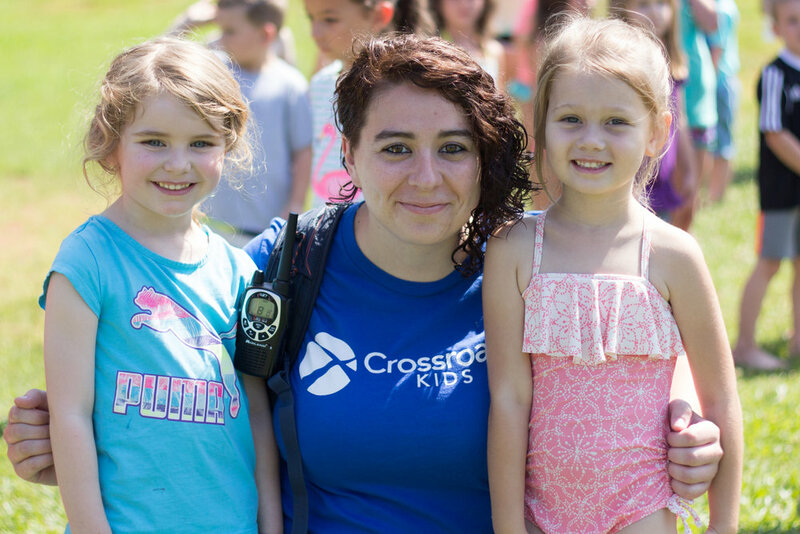 To find out more about Crossroads’ serving opportunities, click HERE!